Nobody is perfect at everything.... including us. We can help you pick the perfect water pump. And, we actually carry hard-to-find accessories. Water pump parts, however, are not our specialty. You won't find a flux capacitor for a 1985 Delorean here. 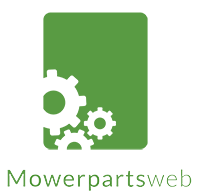 For those harder-to-find parts, we recommend contacting MowerPartsWeb, by visiting MowerPartsWeb.com. Their customer service staff excels at selling water pump replacement parts. Please keep us in mind if you decide to time travel... or if you want to simply replace your old water pump instead.